The summer holiday is upon us and often parents are left wondering what to do to fill those long 6 weeks. This is the perfect chance to introduce your child to the world of theatre which, depending on the show choice can be anything from pure entertainment to educational. This is a theatre that any theatre loving parent with young children should attend! This is a specialist children’s theatre aimed at 0-13 year olds, in Wimbledon that has a main auditorium but also a smaller space which is especially for early years shows. The theatre clearly advertises age recommendations next to each show. 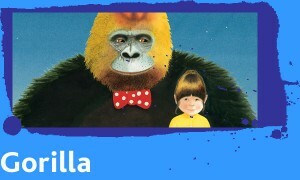 On over the summer holidays is Gorilla, suitable for ages 4-7 until the 16th August about a toy Gorilla that comes to life & Dot, Squiggle and Rest which is on until the 16th August and suitable for a younger audience aged 2-4 as well as summer ‘take part’ workshops including a week long summer school for ages 6-9 which works on music and puppetry (can I pass as 9 do you think?!). This show needs no introduction but could potentially serve as your child’s introduction to West End shows. This show has been running for 15 years at the Lyceum which in todays climate where shows come and go speaks volumes. It is worth noting that there are some scenes that could upset more sensitive younger children. It is advertised as suitable for children aged 6 upwards and children under 3 will not be admitted into the auditorium. One tip – which also applies to Matlida & Charlie & The Chocolate Factory below is to play your child the soundtrack before the show. It helps keep the child’s attention as they can link it with something familiar and help build up excitement beforehand. 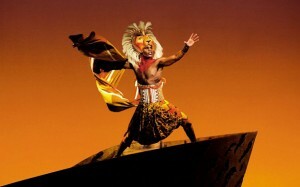 Tie It in With An Activity At Home: The Lion King have done this bit for me and on their website here you can find lots of resources. Whilst it is aimed at schools there is a great puppet making activity and mask making activity there for Primary School aged children. 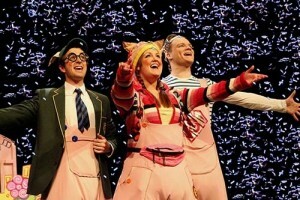 This musical is based upon the Roald Dahl book of the same name. Matilda is another great show for the whole family, although once again it is only really suitable for ages 6 and upwards and children under 5 will not be admitted. Tie It In With An Activity At Home: As the show is based on the book and Matilda herself loves reading, why not try reading the book together and talking about the moments in the show as the musical stays fairly true to the book. Another Roald Dahl book to hit the West End is Charlie & the Chocolate Factory. This advertises itself as suitable for children aged 7 and upwards. 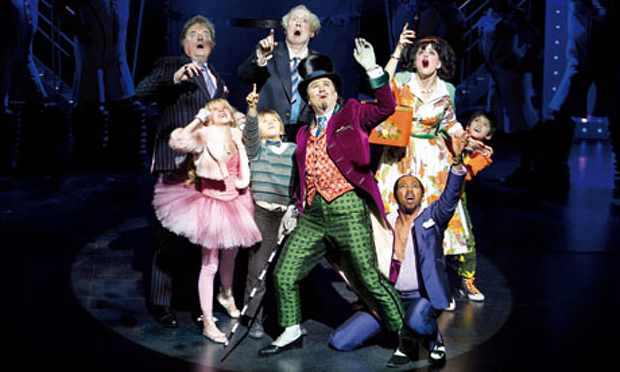 The first half can be a little slow to get going but once you hit the Chocolate Factory in Act 2 they will be captivated by the frequently changing set and the oompa loompas. Tie this in with an activity at home: Why not try your very own Willy Wonka session at home and bake with the kids – rice krispy cakes are easy to make and they should be inspired after seeing all of the chocolate creations at the factory. 5.Hetty Feather at the Duke of York. This show has been doing the rounds in regional theatres but opens on the August 6th for a month long run at the Duke of York Theatre. If you are parents to a girl of a certain age then you cannot fail to know Jacqueline Wilson. The show is set in a circus and features circus skills as well as live music. Heck I’m 30 and I want to see it!!! For those unable to get to the West End it is also in Bristol and Brighton before the West End and numerous places from Newcastle to Southend after the West End show. 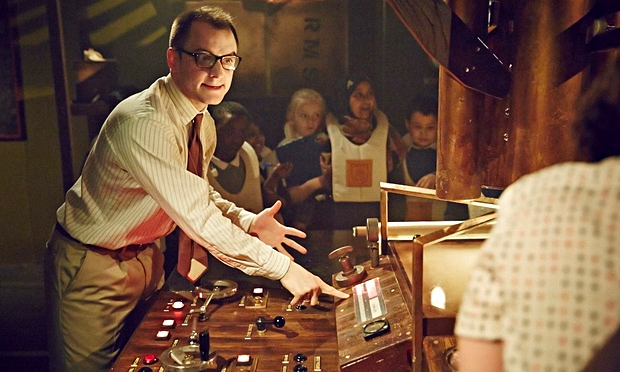 Tie this in with an activity at home: Why not use this show to spur on your child’s creative writing – after all it is based on the book by a previous children’s laureate – get your child to imagine they are Hetty Feather and writing a letter to their foster mother describing their life. 6.Against Captains Orders: A Journey Into the Unchartered. This production is on at Greenwich Maritime Museum until the end of August. This is for the children that love getting involved or find it impossible to sit still. This is a way to get children interested in not only theatre but education and the museum itself. It is an immersive experience and includes problem solving, storytelling. It is the first time a theatre company have been involved with a London museum with a production of this size. It is suitable for children ages 6-12 and no you are not allowed to attend as an adult by yourself!!! Tie this in with an activity at home: This show is all about being an explorer so why not hide an item they love (anything from chocolate to loom bands) and set them their own treasure hunt at home – with having to complete activities such as word searches in order to be given the next clue. If you have more than one child you can always turn it into a race. Disclaimer from the start – I love the composer/lyricist of this show Stiles & Drewe and part of me secretly (ok not so secretly) wants to be 10 again so I can beg my parents to take me to this show. It is the same composers that brought you the musical version of Mary Poppins and Peter Pan so they are well versed in the family audience. It puts a different spin on this well known story which tells of how the 3 Little Pigs become celebrities. It is on at The Palace from the 5th August until the 6th September and welcomes all children ages 3+. Tie it in with an activity at home: Of course part of the 3 little pigs story is all about building their home. Why not provide different equipment and set your child about building a home for themselves in the garden. My dens were often built out of blankets and clothes airers!!! 8) I Believe in Unicorns. This is on at the Vaudeville Theatre and is recommended for ages 6+. Babes in arms, under 18 months are also admitted to this show for free. It is based upon the book by Michael Morpurgo which tells of the power of books when a young boy meets a unicorn lady in his library. Catch it until the 30th August 2015. Tie it in with an activity At home: Unicorns are all about imagination. Why not get your child to create their own mythical creature and create a drawing of it, maybe even using other materials and objects from around the house. If old enough then get them to annotate it explaining all of it’s magical features. This is on at the Lyric Theatre until the 6th September and is a musical adventure based on the picture book of the same name. It is recommended for children aged 3+ and once again babes in arms under 18 months are submitted free of charge. 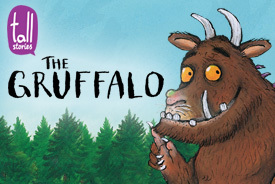 Tie it in with an activity at home: Once again he Gruffalo team have done my work for me and provided some worksheets that you can print and use at home – my favourite is the bug search worksheet where you hunt out bugs on a walk, name them and draw them. This particular worksheet can be found here. This is on at the Kings Cross Theatre until 30th August 2015. There is even a 15 minute meet and great after the show with the dinosaurs!! Its a show where you get up close and personal to dinosaurs from cute leaf eaters to the mighty T-Rex. For the brave among you you can choose to sit in the ‘danger zone’ and be withing eating reach of the dinosaurs. Tie it in with activities at home: Yet another show that produces activity packs!!! This pack gives loads of info about dinosaurs as well as quizzes – check them out here. It can be expensive to go to the theatre and normally to take a family of 4 to a West End show can cost well in excess of £100. Throughout August however kids aged 16 and under go free with a full price paying adult. The Lion King, Matilda, Charlie and the Chocolate Factory, Hetty Feather, 3 Little Pigs, The Gruffalo, I Believe in Unicorns as well as many many other shows are included in this offer. Check out the website here.